Cleaning parking lots removing all debris and garbage. Pressure washing to remove stains, clean and brighten, remove plants growing where they should not be, and to prepare areas for painting and staining. Concrete Wheel Stops are the most common that we install. They are popular due to their affordability, strength, and weight. 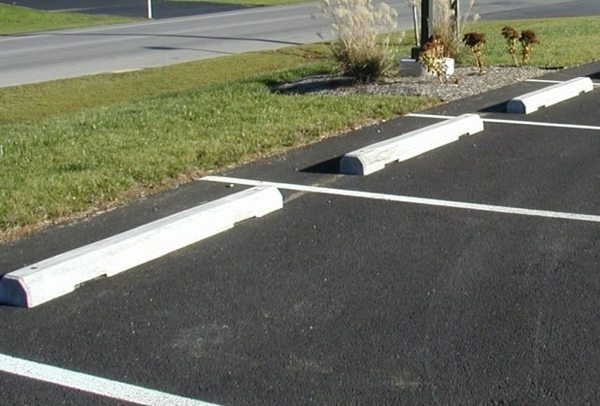 Concrete wheel stops are durable steel reinforced, precision pre-cast concrete parking bocks designed to hold up well to typical abuse. Complete patching and repair services available. The minute freshly laid hot asphalt pavement mix cools, it begins to age. A chemical change takes place when oxygen and water combine with the asphaltic binder in the pavement. This is required so the pavement will become hard and firm. Once the pavement has hardened, this chemical change process has to be stopped or the asphaltic binder will deteriorate and the pavement will become a layer of loose stone. 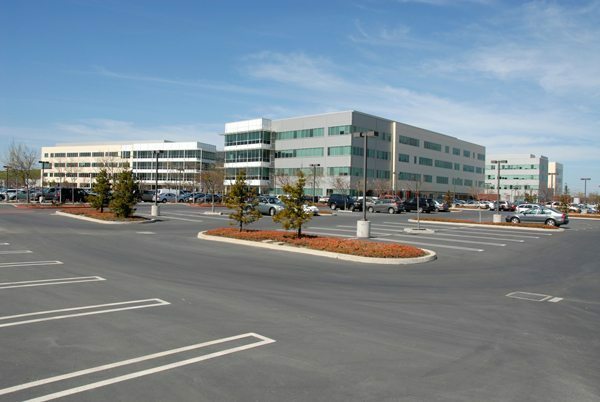 Parking lots deteriorate due to gas, oil, sun, salt, water, and hot or cold temperatures. Patching is the most common asphalt repair for potholes. Potholes are caused by water seeping into pavement through unsealed or improperly sealed cracks because when the water freezes, it expands and makes the crack larger. When the ice melts it leaves a pothole in the pavement. A pothole can be repaired by filling in the pothole with hot or cold asphalt mix, depending on the season. As asphalt pavement ages, fine hairline cracks spread and get deeper in the asphalt. Water gets into the cracks and holes form. The most effective repair is removing and replacing the area which has deteriorated. In more severe cases of asphalt failure, a long-term and cost-effective solution is to resurface the asphalt pavement. If you notice standing water on the pavement or large sections of interconnecting cracks forming a series of blocks it’s wise to have your pavement resurfaced. Seal coating asphalt pavement slows deterioration by protecting against the elements. We provide both commercial and residential seal coating for newly installed and existing driveways and parking lots. New driveways should be seal coated 3 to 12 months after installation. This allow sample time for the driveway to set and adhere properly to the sealer. Parking Lot and Walkway Snow Removal and Ice Remediation for commercial businesses. 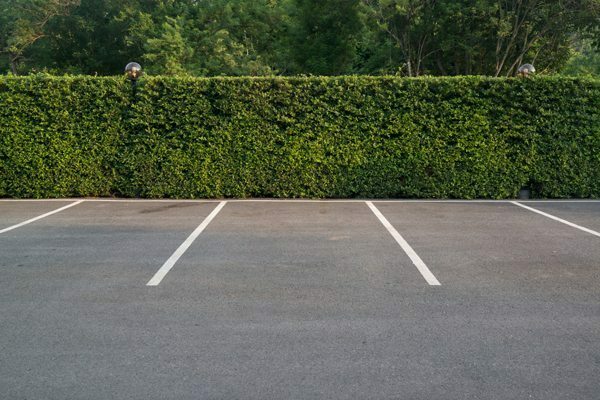 Let’s Discuss Your Parking Lot Maintenance and Repair Needs!